Company Formation in Japan - Start Online! Investors from all over the world are interested in opening a company in Japan, due to many business advantages. The Japanese legislation doesn’t require a minimum share capital for the registration of a limited liability company. Japan is famous for its pro-business atmosphere, proficient in attracting wide-ranging overseas funds and important foreign businesses. Japan promotes research and development and has a good percentage of its GDP dedicated to research and development activities. The country has one of the largest and most complex economies in the world and is also considered a competitive country to do business in. 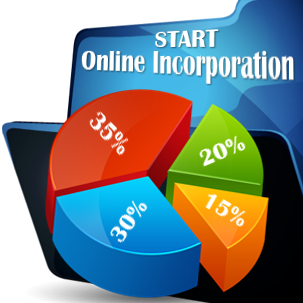 There are several types of companies available for incorporation that present different advantages for investors. Our experts in company registration in Japan are specialized in forming all types of companies in this country. The main types of companies in Japan are the corporations and the partnerships. Joint stock companies and limited liability companies are preferred corporate forms while those investors who share similar business goals prefer the general partnership. The limited liability partnership is a convenient business form for those investors who require the limited liability protection as in the case of a company but still wish to operate under a partnership. Foreign investments are encouraged in Japan and there are few formal restrictions on investment in selected economic sectors. Investors need to give special notifications when they plan on making an investment in business fields like broadcasting and telecommunication, aerospace, aviation, maritime transport or nuclear energy. The Government may restrict investments in these special areas if it believes that such actions would threaten the national security or the public order. The Foreign Exchange and Foreign Trade Law offers details on investments for special categories of foreign direct investment. Company formation in Japan requires a few formalities. The steps we present here apply for incorporating a limited liability company in Japan. This is the most common business type found in this country. Investors who would like to open this type of cpmpany in an European country, for example form a company in Cyprus can receive assistance from our partners. The “godo gaisha”, is the Japanese equivalent of the limited liability company in which the members are only liable to the extent of their contributions to the company’s capital. The New Companies Act is the main legal resource that regulates this type of business, as well as the other types of companies that are available for incorporation in Japan. Investors who want to open such a company in Japan must know that the “godo gaisha” does not have a minimum share capital requirement when it is registered, however, the member’s contributions can only be made in cash or non-cash assets and not in services. the last step implies submitting an application to the Public Employment Security Office no longer than 10 days after hiring the first employees. The registration of a company in Japan takes less approximately ten days when all the documents are in order. Subsequent special permits and licenses may be needed. Our company formation agents in Japan can help businessmen with the process of drafting important documents necessary in order to open a company in Japan, such as the Articles of Association. Are you interested in establishing a company in another jurisdiction? Our partners are ready to assist you whether you want to set up a company in India or establish an offshore company in Belize. We can also help you open a company in a European country, such as Ireland. If you are interested in starting an Irish company, our partner law firm LawyersIreland.eu can help you. Our international network of business consultants and lawyers can help you establish a company in numerous jurisdictions around the world. - A limited liability company in Japan is a type of company suited for small and medium businesses. - The members are liable only to the extent of their contribution to the company’s capital. - Unlike the joint stock company, all the members of the company may represent it, until a manager is appointed. Their contribution can be made in cash but also in non-cash assets. - It’s mandatory that all the company’s members must be in favor of a certain decision to make it applicable. - A “godo gaisha” may be reorganized as a joint-stock company if all the company’s members agree with the decision. - All companies in Japan are subject to observing the accounting, filing and auditing requirements. The Japanese accounting standards apply to all companies (GAAP) and company owners must prepare and submit the financial statements on an annual basis. Companies that have more than 500 million JPY capital are required to appoint an external auditor. The tax year is generally the same as the calendar year, but it may be another twelve-month period, as the company chooses upon its incorporation. Branches are generally required to have the same fiscal year as the head office abroad. In case you are considering starting a company of this type in Japan, our experts can help you. - other documents may be required for registration, depending on the activities of the company. Our Japan company formation consultants can represent foreign investors in their relationship with the authorities during the registration procedure of the company. - the rules related to managing the company and other special provisions. It should be noted that the Articles of Association must be prepared in accordance with the type of company established. - Drafting the Articles of Association (necessary for the company incorporation in Japan); If the investor cannot be present in the country, the Articles of Association for the Japanese company can be signed through a Power of Attorney. - Drafting all other documents required for the incorporation of the Japan company; these documents include specimen signatures, special forms provided by the Company Registration Office in Japan, passport copies, etc. - A registered office in Japan for your company, which is mandatory for all companies registered in the country (the registered office is the chosen address where the Japanese company has its headquarters). - Setting up a bank account for your Japanese company with a bank of your choosing. - the registration for social security and pension purposes takes 1 day and is also free of charge. the accounting fees start at approximately 100 EUR per month and depend on the size of the company and the services included. - Foreign residents are only taxed on the income earned in Japan. - The taxation of individuals is done according to progressive tax rates, up to 45%. Individuals may be considered permanent residents or nonpermanent residents. 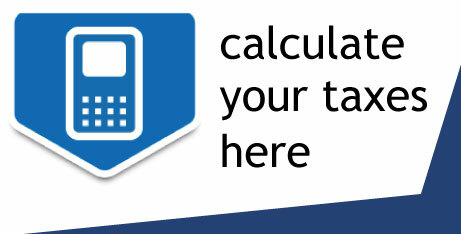 - For individuals, the tax year is the same as the calendar year. - The equivalent of worldwide VAT in Japan is the Consumption Tax at a rate of 8%. CT registration is mandatory only under certain conditions and for companies that exceed a certain taxable sales amount. - The corporate tax in Japan is 23,4 %. Along with the corporate tax, the company must pay two types of local taxes: inhabitant tax and enterprise tax. - Withholding taxes apply to dividends, interest, and royalties, in different percentages starting from 20% to 15%, plus a surtax. - Branches in Japan are subject to the same corporate income tax as local companies. - Companies must file a corporate income tax return, an inhabitants tax return and an enterprise tax return. The filing and payment deadline is no later than two months after the closure of the fiscal year. - There are two types of tax returns in Japan: the so-called white ones and the blue ones. The blue tax return has several benefits, among which privileges for accelerated depreciation and a tax loss carryforward. Our agents who specialize in company registration in Japan can help you understand the differences and apply the use of a blue return, if possible in the company’s particular case. - The tax authority in Japan is the National Tax Agency (NTA). Sources for tax law include the Corporation Tax Law, the Special Taxation Measures Law and the Consumption Tax Law. - The workforce in Japan consists of well trained, educated and loyal employees. - The Labor Standards Law includes the provisions for the working hours, the wages and benefits and the employee rights. - The government offers certain incentives to the companies: for investments related to productivity improvements or for the promotion of income growth. A tax credit for job creation is applicable. - The industry is very developed, especially in the electronics, machine tools, ships, chemical substances, and motor vehicles. - Japan’s main export partners are the United States, China, Taiwan, Korea, and Hong Kong. Import partners include the United States, China, Australia, Saudi Arabia, Korea or Malaysia. - Many financial services companies are located in Japan. - Japan is a member of the World Trade Organization and has an extensive double tax treaty network wish allows for double taxation relief for corporations that derive income both from Japan and from another jurisdiction with which a treaty is signed. If you would like to start a company in other countries, for example starting a business in USA or Indonesia, we can put you in contact with our partners. How long does it take to register a company in Japan? The company registration process in Japan can be quite lengthy and can expand over a few months – up to 2 months, depending on the type of company chosen. What is the best type of company which can be registered in Japan? Our company registration agents in Japan recommend the limited liability company which can be used for all types of activities and which is best suited for foreign investors. What is the minimum amount of money needed to open a company in Japan? The share capital requirements depend on the type of company the investor want to open: one will need 1 USD for a private limited liability company and 6,000 USD in the case of a public company. Does the company need a local address? Yes, having a registered address in Japan is one of the requirements for setting up a company here. Is it possible to register an offshore company in Japan? Yes, foreign investors can also set up offshore companies in Japan. If you are considering starting this type of company and don't know which country to choose, we recommend you to contact our partners Bridgewest - a firm specialized in offshore company formation matters. For more details on company registration in Japan and investment particularities, please do not hesitate to talk to one of our experts. 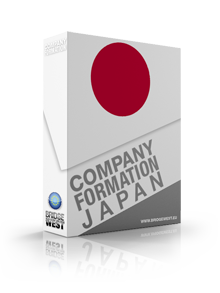 Bridgewest provides company formation services in Japan. Please contact us for more information and prices.